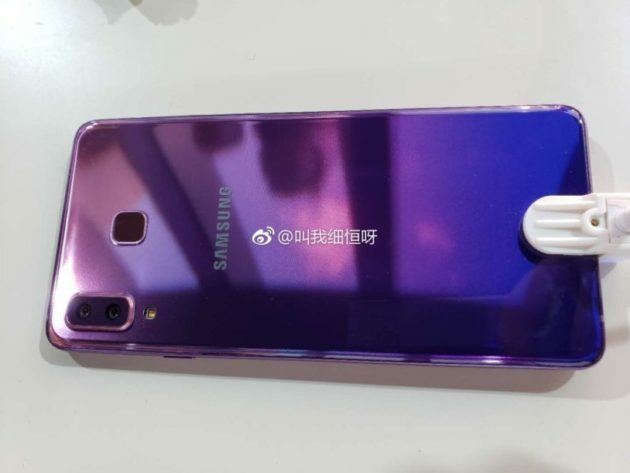 Samsung’s Galaxy A9 was launched in China some three months ago, in black and white variants but now we have a new version emerging, which has been recently announced on the Chinese market. 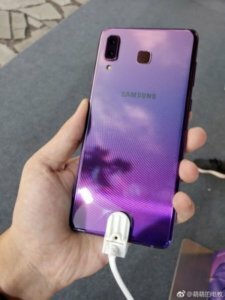 It’s a clear effort from Samsung to take away some of the shine from its rivals, showing a purple-blue gradient we can remember seeing in the Huawei models. I need to remind you that Samsung and Huawei have had some legal face-offs in the past, resulting from patent infringements, so I want to say this move comes as a surprise, but it doesn’t, really. 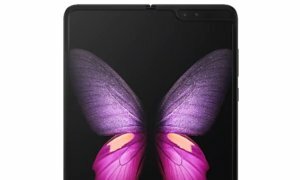 The A9 Star was launched a couple of months ago in China and as far as specs go, the phone has a 3,700mAh battery, an octa-core Snapdragon 630 with 4GB of RAM and 64Gb of storage. It comes with a 24-megapixel + 16 megapixel dual camera system at the back, with a 15 megapixel selfie camera. It display has 5.5-inch super AMOLED with a resolution of 1920 x 1080. It also had a microSD slot to support up to 128GB. Though the new color variant will be on sale soon, the phone is a Chinese market exclusive. While available in other countries under the name Galaxy A8 Star, it cannot be purchased in the new color. If there are any plans to expand its reach outside China, there’s no word about that just yet.